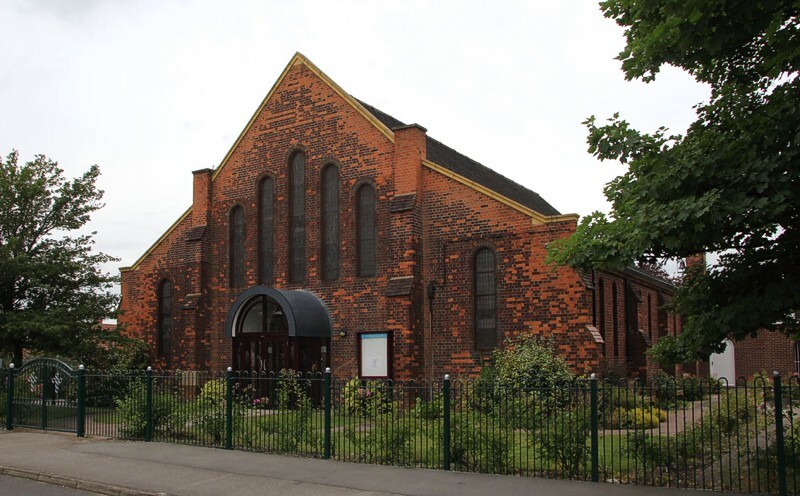 The Bolsover Colliery Company gave the site and £3,000 for the building of this miners’ church, in red brick, which was dedicated in 1928. It was designed by Louis Ambler, who built a number of other Nottinghamshire churches. His original drawings show a tower and spire, though these were never built. The interior space is a play on neo-Romanesque, using brick arches and stone columns. A large piece of coal, along with several mining tools, was brought from Clipstone Colliery to remember the church’s association with coal-mining. Originally it was placed at the eastern end of the miners’ chapel extension, but now lies in the north aisle on a railway truck which relayed it to the church on a specially constructed temporary railway. The former chancel is now a miners’ chapel and has a set of kneelers depicting mining links old and new.